Our latest roundup covers news from December 4 to January 1, detailing upcoming ASX listings via IPO and RTO. IPO Planning Consumer Discretionary and Staples South African private equity firm Coast2Coast Capital is readying homewares business Marlin Brands…. Our latest roundup covers news from November 6 to December 3, detailing upcoming ASX listings via IPO and RTO. IPO planning Consumer Discretionary and Staples Vitex, a large scale producer for the big vitamin companies, is said to…. Our latest roundup covers news from October 17 to November 5, detailing upcoming ASX listings via IPO and RTO. IPO planning Consumer Discretionary and Staples Goat’s milk infant formula manufacturer Nuchev, which produces Oli6, has been considering its…. Our latest roundup covers news from October 2 to 16, detailing upcoming ASX listings via IPO and RTO. 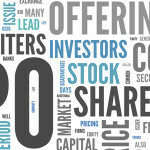 IPO planning Consumer Discretionary and Staples Regional funeral provider Enter Propel released further details surrounding its IPO. The business will…. Our latest roundup covers news from September 18 to October 1, detailing upcoming ASX listings via IPO and RTO. IPO planning Healthcare Headlining the health sector, oncology and radiopharmaceutical biotech Telix Pharmaceuticals has received big name backing ahead….